Hi, loves! 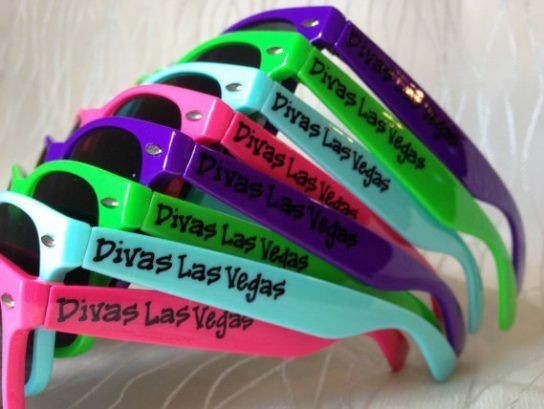 Did you know today is National Sunglasses Day? It’s true. We’ve got our sunnies on and we’re joining in on the hashtag fun over on Twitter (follow us here!) 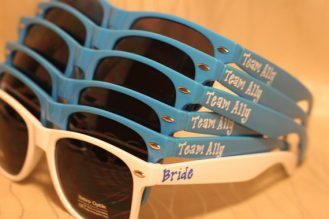 with our favorite sunglasses for bachelorette parties. 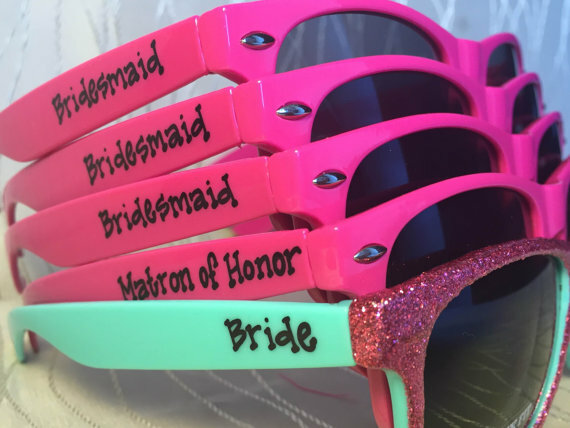 You know how much we love bachelorette party themes over here; recently we talked about these fun beach bachelorette party ideas and flamingo bachelorette party ideas with sunglasses topping the list as our top favor pick for both. 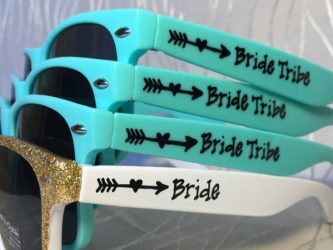 These sunglasses for bachelorette parties are hand-designed by Sarah of Green Bridal Boutique and she does an incredible job. 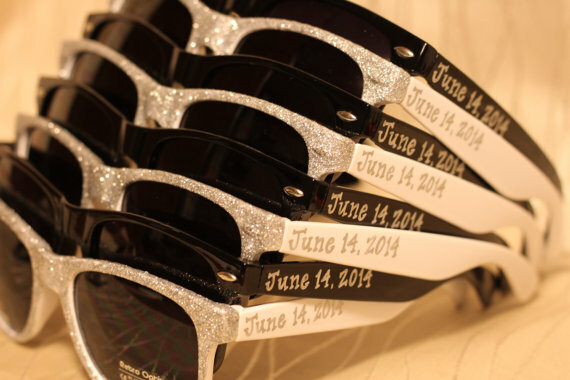 They are fun to wear as party favors and make cute photo props, too. 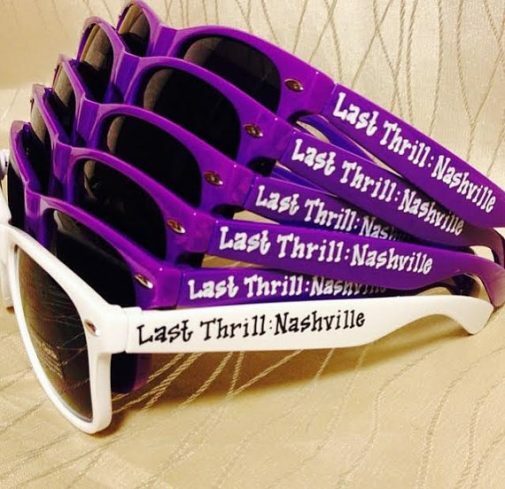 Check out some of our favorite sunglasses from the shop! 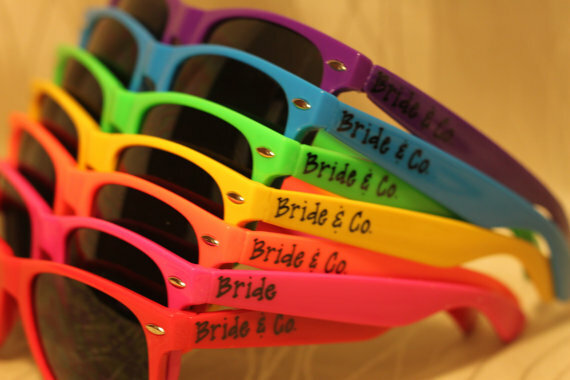 These sunglasses are incredibly popular because you can choose custom colors and personalization on the sides. Customize with names, nicknames, your party theme, and more! 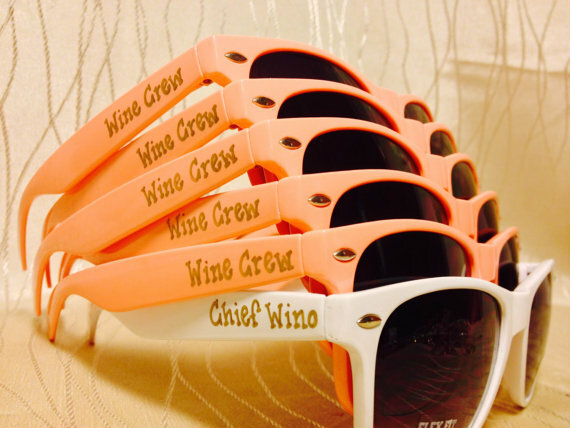 The whole crew will love to wear them. 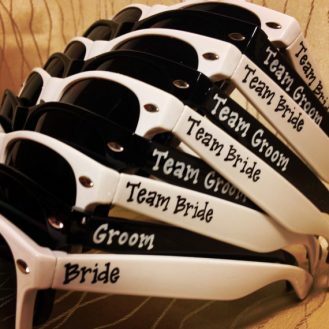 Find out more (and see dozens of examples — even bachelor party sunglasses for the guys) at Green Bridal Boutique. Green Bridal Boutique is a Featured Artist in The Marketplace at Emmaline Bride. Sarah is awesome to work with!